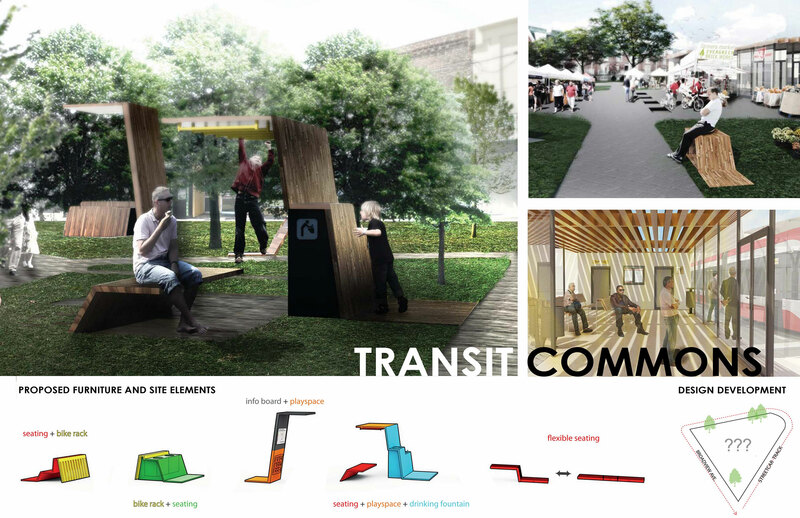 The exercise challenged students to design civic amenities for Toronto’s public spaces that would encourage civility and inclusiveness, regardless of a citizen’s means or ability. 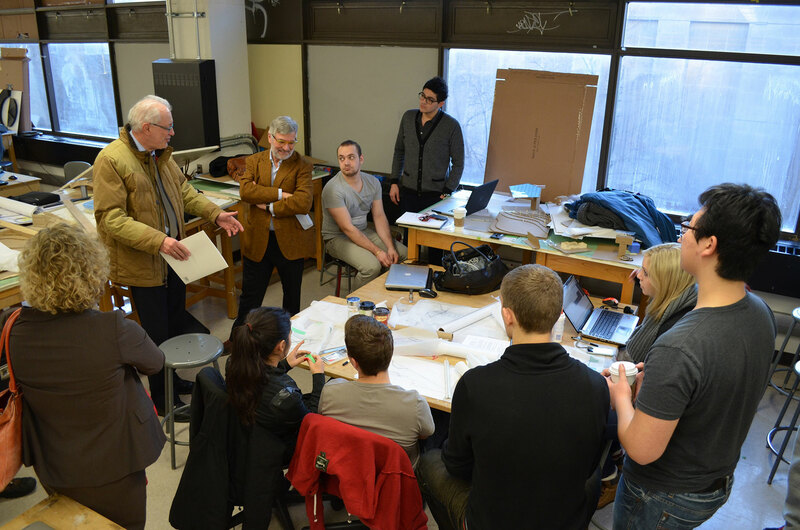 It demonstrated the importance of diversity, equity and inclusion in architectural education and professional practice. 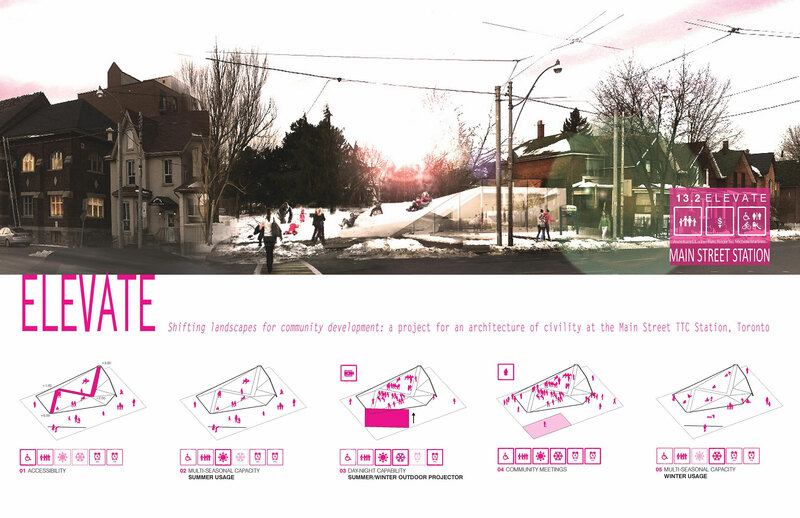 Design teams, consisting of 12 to 15 students from all years of the program, acted as ‘citizen architects’ at specified sites. Graduate students acted as ‘community voices’ pushing for the rights of citizens, including the elderly, pedestrians, cyclists and taxpayers. 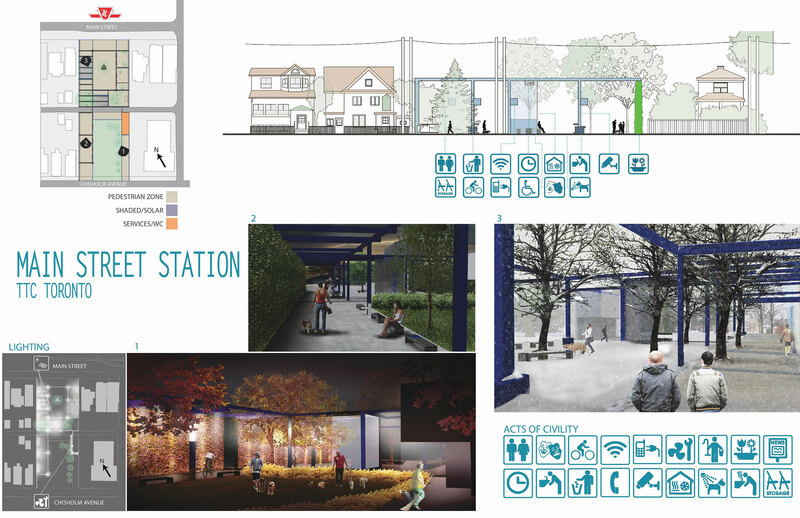 Among the projects were bike paths, a civic exchange, discovery information hub, and speaker’s corner for political activism and community engagement.